"The nation will become a Mormon theocracy. …[H]is presidency could be the end of America as we know it" (Ed Decker, "The Mormon Plan for America and the Rise of Mitt Romney"). Even if this is the intent of Romney (though Decker later says, "I am certain it is not even in the back of his mind as he runs for office") and other LDS, it doesn't follow that it will happen any time in our lifetime. Perhaps if Romney was going to be anointed king, Decker would have a point. But given the balance of powers in our government, I don't see how Decker's above statements can be true from simply electing Romney as president. I also really don't see what the Oath of Vengeance, which was disregarded around 1930, has to do with Romney. The oath was expressing an intent to commit vengeance against the U.S. government for allowing persecution to go on with the early LDS Church, particularly the killings of Joseph and Hyrum Smith. Decker would probably say, as he did for another issue, that it's still in Romney’s DNA, but I think there's still no good reason to accuse any LDS today of holding to this oath when he or she never took it. Decker's claim would be like saying one is bound to become an alcoholic if all his distant relatives were alcoholics. Decker says, "Under cover of the national and international crisis, the Mormon President of the United States acts boldly and decisively to assume dictatorial powers. With the help of The Brethren and Mormons everywhere, he appears to save America and becomes a national hero. At this time he is made Prophet and President of the Church of Jesus Christ of Latter-day Saints and the Mormon Kingdom of God, while still President of the United States." Decker goes on to say, "With the government largely in the hands of increasing numbers of Mormon [and Masonic] appointees at all levels throughout the United States, the Constitutional prohibition against the establishment of a state church would no longer be enforceable." Needless to say, there's no shred of evidence to support this; it's mere speculation on Decker's part. The context calls this a "hypothetical crisis" under the subsection of "A Disturbing Possibility." It's pure Decker sensationalism or hype. He goes on to cite the late LDS president John Taylor saying they're going to "possess the earth," but there's no good reason to think that even a 2-term LDS U.S. president would even begin to accomplish this. So Decker goes on to present a "more likely," but equally disturbing possibility: a unification of secular/religious ecumenism that is the "means of creating the one-world government." Why is this more likely? I don't see an argument. Further, I have an argument against it, viz., what the LDS Church teaches about itself being the only true church and all others are wrong, and they would, as Decker clearly showed, be the one to usher in the kingdom of God. But Decker claims LDS would simply use the secular/religious power structures to accomplish this. Well sure, LDS will play the ecumenism card, but they still teach they are the only true Church, and further again, what does ecumenism have to do with ruling here in the U.S. when it is a democracy safe-guarded from theocracy by the Constitution and a balance of powers? Even if a Mormon president gets his marching orders from Salt Lake City or even perhaps becomes president of the LDS Church while in office, he, again, isn't a king. So even if the "constitution hangs by a thread," there is no good reason to think that an LDS presidency would usher in the LDS theocratic kingdom. Even if that is what is going on in LDS thinking, there's no good reason to think the "prophecy" would be fulfilled. And even if I'm wrong, and the "prophecy" is fulfilled, a Christian would still be justified in voting for a Mormon president if he or she concluded that the candidate was the best qualified for the job. Ultimately, it is God who establishes every government as Rom. 13:1 says, including those ruled by false prophets. But wouldn't such a Christian contribute to building the Mormon kingdom? Perhaps as an unintended consequence, but this leads to a discussion of the law of double effect. The law of double effect teaches that one may intend a good consequence and actually obtain it while another unintended consequence also follows. This is why one may be justified intending a dying patient receive comfort by way of medicine even though such a dose will do the patient in, or why war may be justified (e.g., self-defense) even though unintended killings of some innocents will no doubt occur. (For more on this, see here.) 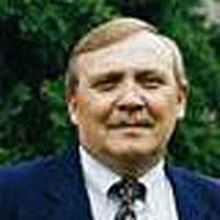 So even though Romney becoming president may bring with it the unintended consequence of building the Mormon kingdom to some extent, intending the greater good of allowing conservative principles to rule may justify a Christian’s support for Romney over the liberal secular kingdom and principles of Obama. Having said all this though, many of the details Decker presents are true. Romney did take blood oaths to fully support the LDS Church in building the kingdom of God on earth prior to these oaths being deleted from the 1990 temple ceremony. Romney also certainly does have a “God in embryo” complex. However, it is primarily Decker's unsubstantiated conclusion of a Mormon presidency entailing Mormon theocracy that I take issue with. 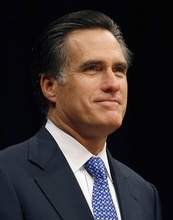 If you want more of my thoughts on this, please see my blog "Should a Christian Vote for Mitt Romney?" on the bottom of the Courageous Christians United Blog page. You might also be interested in my film review of "A Mormon President: Joseph Smith and the Mormon Quest for the White House." As for other information, please see Aaron Shafovaloff's thoughts, as well as a recent Salt Lake Tribune article. "I am somewhat shocked at the tone of this critique.... Reason that I feel Romney was/is bound to the oath of vengeance is that his father and grandfather both were of an age that it was operative when they went through the LDS temple and swore a blood oath that they would teach it to bind it to their children and their children to the 4th generation.. Has nothing to do with trying to sensationalize it for some self-serving purpose of mine? but all to do with spiritual darkness over generations of a family bound into the occult by blood oaths. Ignore it, fine.. but don't smear my name and research because you disagree with what more than a few other ex-Mormons agree with me on..
Over 40,000 people have read it on my website,www.saintsalive.com. I have emailed out over 10,000 copies over the last 5 years and it is a chapter in my book, My Kingdom Come: The Mormon Quest for godhood. In all that, including the many who strongly disagreed with me, no one else decided to attack my integrity and label my work and my intent as "It's pure Decker sensationalism or hype." So if I don't email or call you, I'm wounding you in the back? I always thought that public issues deserved public response. It's not like I was simply passing this among a close circle of friends. Part of the problem is that you didn't read it when I mentioned it in my newsletter back in January: http://mormoninfo.org/newsletters/january-2012. I emailed that out to you. Of course I know you're busy and don't have time to read all my stuff, but better late than never. I'm glad you finally got to read it. I'm glad to know out of all your responses that mine is unique to some extent. I still find it sensationalistic or hype to think that Romney, or any other LDS who may become president someday, would enact the Oath of Vengeance and enact a Mormon theocracy if he were elected. Again, there's just a scary hunch on your part and no evidence to back it up. That's "sensationalism" or "hype" by definition. I don't know what else to call it. It's a mere scary possibility without any probability, since the darkness of Mormonism may be expressed in all sorts of ways without any guarantee that it would be expressed in the way you suggest. You never answered my analogy to a child of alcoholic parents. The parents darkness *may* be expressed by a child who is also an alcoholic, but it certainly doesn't guarantee it. I agreed with you on other facts you addressed in your article. So I disagree with your sensationalism or hype. Again, public disagreements should be made public, so that "iron will sharpen iron."